Citing sources, Nikkei Asian Review reported that Apple plans to halt any additional and boosted production of the iPhone XR after seeing underwhelming demand. “For the Foxconn side, it first prepared nearly 60 assembly lines for Apple's XR model, but recently uses only around 45 production lines as its top customer said it does not need to manufacture that many by now,” Nikkei Asian Review quoted a source as saying. This means that Foxconn would produce around 100,000 fewer units daily, painting a new picture of the demand, which is down 20 percent to 25 percent from what was originally expected. Fellow Taiwanese manufacturer Pegatron is also suspending plans to ramp up production and awaiting further instructions from Apple. Interestingly, the report says that Apple is seeing a higher demand in the older iPhone 8 and the iPhone 8 Plus models, which are up to 20 percent cheaper than the XR's starting price of $749. “The utilization for the XR production is not reaching its maximum capacity now. Suppliers of iPhone 8 and iPhone 8 Plus are getting a combined order of around 5 million more units,” a supply chain source was quoted as saying. Apple reportedly planned 20 million units for the older iPhone models this quarter, but raised the figure to 25 million units. Foxconn is the main supplier of the iPhone 8 Plus, while Pegatron is the key supplier for the smaller-screen model, the iPhone 8. 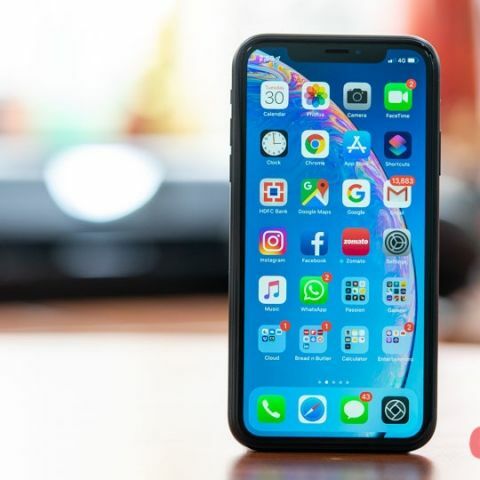 The Apple iPhone XR is available starting at Rs 76,900 via Apple Authorised Resellers in India. The iPhone XR is built with an aerospace-grade aluminium design with six new finishes. Unlike on its the bigger models, iPhone XS and iPhone XS Max, Apple used a 6.1-inch LCD Liquid Retina display on the device, which features a 1792 x 828 pixel resolution. There's no 3D touch capability on the device, but features a new haptic touch system. Apple has equipped the smartphone with the same latest A12 Bionic chip, which is also used on the other two iPhone models. The iPhone XR comes equipped with a glass back and features a single rear camera setup with a f/1.8 12MP wide-angle sensor that is supplemented with Optical Image Stabilisation and comes with 6-element lens and 1.4µm pixel size. The notch on the front houses same components as the iPhone X to enable Face ID, along with Animojis and Memojis, and there is also a 7MP sensor that can capture selfies in portrait mode. The smartphone is also IP67 certified so it can withstand light rains or water splashes.